Looking to connect with other San Franciscans this weekend? From a festival full of colorful kites to a dance party full of colorful Burners, there's plenty of community and cultural events coming up this weekend. Read on for a rundown. 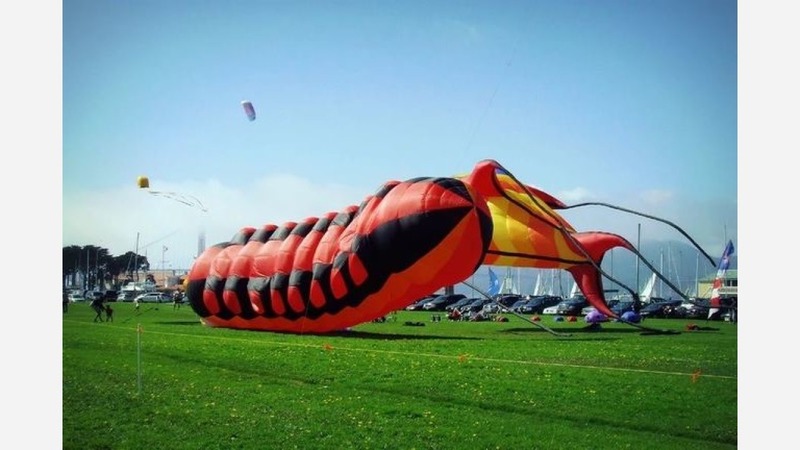 Head out to the Presidio for a day full of high-flying kites and family fun. The all-day festival will feature a make-your-own kite booth, hands-on workshops with expert kite-makers, an art exhibition, taiko drummers, food trucks and more. When: Saturday, June 16, 12-5 p.m.
Young queer poets take center stage at Youth Speek's Queeriosity event this Saturday evening at the Main Public Library. In their own voices, the poets will tackle the topic of reimagining sexuality, identity and belonging on their own terms. The night's special guests will include two professional poets and educators: Porsha O., the 2014 Individual World Poetry Slam Champion and 2015 National Poetry Slam Champion; and Paul Tran, whose work has appeared in The New Yorker and Poet Magazine. When: Saturday, June 16, 7-9 p.m. Shine like a diamond with fellow Burners at the Mystopia camp's annual Pride party. All are encouraged to throw on their flashiest looks and spend the night being proudly visible while dancing to live DJ sets into the wee hours of the morning. When: Saturday, June 16, 9 p.m.- Sunday, June 17, 4 a.m.